Want to go to NAA's Apartmentalize with GLAA? 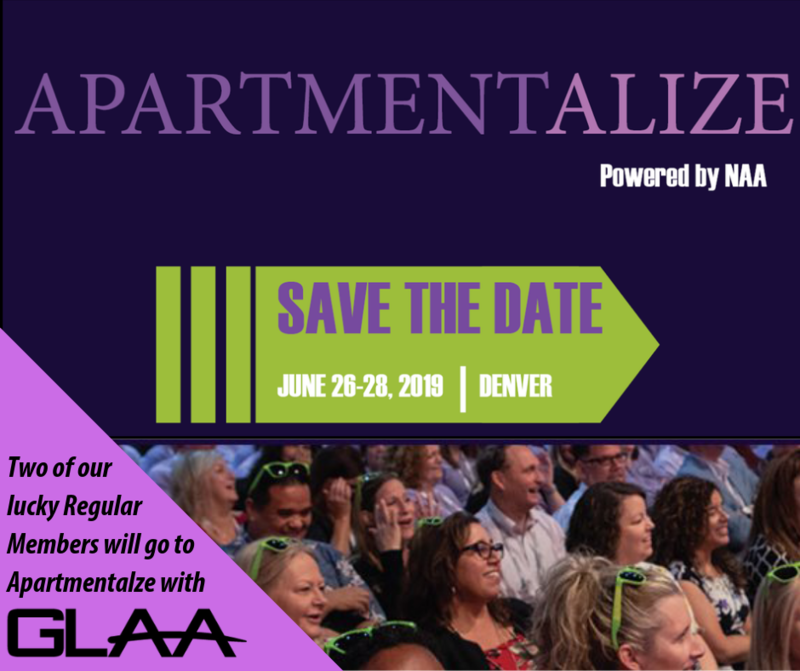 GLAA is proud to announce an all-expense paid trip to the NAAEI APARTMENTALIZE Conference in Denver, Colorado for not just one, but TWO, of our amazing Property Members. We are presenting 2 scholarships to 2 property members to attend the NAAEI Educational Conference and Expo with us in Denver, Colorado! With 10,000+ attendees, 550+ cutting-edge suppliers and 85+ breakout sessions and events, Apartmentalize is the ultimate career-boosting opportunity for rental ​housing pros! ​If you have attended the NAAEI Conference in the past 3 years, you are not eligible for consideration.